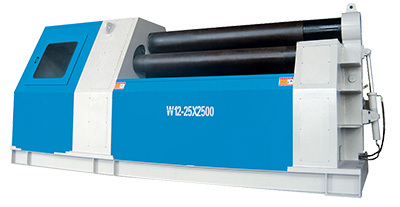 WYQ24-16 is semi-hydraulic 3 roller type profile bending machine, which mainly uses in various steel profile bending. It can roll “O” spiral shape workpieces. 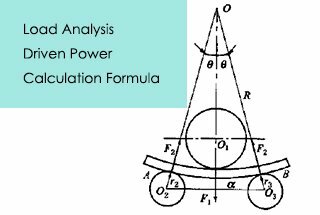 It is widely in petrol, chemical, shipyard, metalworking and machine manufacturing industries. All three rolls are the main drive roller. The top roller move by elevation, the bottom roller rotates in a fixed position. It’s easy to take off the finished workpiece. Independent and movable console to make the operation easier. 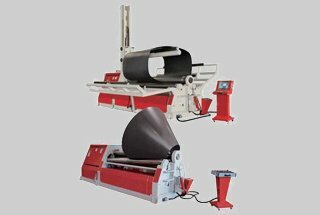 It’s an advanced machine to easily operate and maintain with a small flat edge. 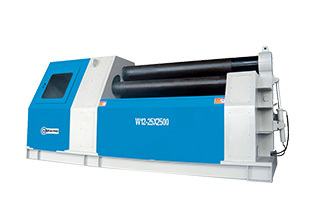 Top roller installs in the above the machine body, the bear on the two sides of the top roller used cylindrical roller bearing. The top roller movement up and down which driven by hydraulic. The bottom roller rotates in a fixed position. 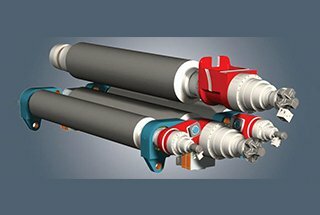 Top roller shaft and bottom roller shaft are all main drive shaft, through the hydraulic motor, gear, chain to drive the top roller shaft and bottom roller shaft rotary. The unique design of the synchronous mechanism make the top and bottom mold have the same line speed when bending the different profiles. 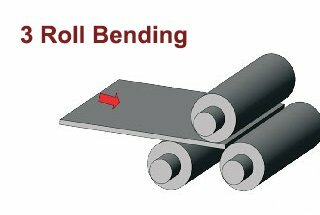 Guide roller easy to roll the asymmetrical section to avoid the bending default. 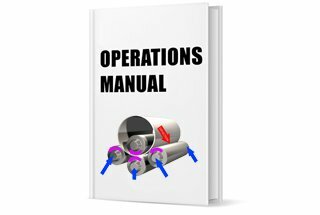 The usage of the hydraulic system: drive the motor to make the top roller and bottom roller rotate; and drive the cylinder to make the top roller move by up and down. 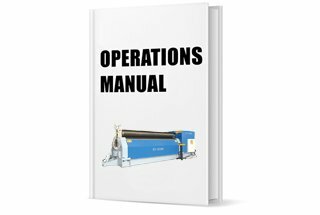 The hydraulic system is reasonable in design, reliable operation, equipped with a high accuracy oil and return oil filter, in order to ensure cleanliness of the system oil. The main valve hydraulic system adopts the famous quality products. Pump, oil filter, motor, seals are used brand-name manufacturers of domestic or foreign joint venture products, its advanced performance, reliable quality. All hydraulic parts in the factory have to undergo rigorous testing, screening, to eliminate the hidden trouble. 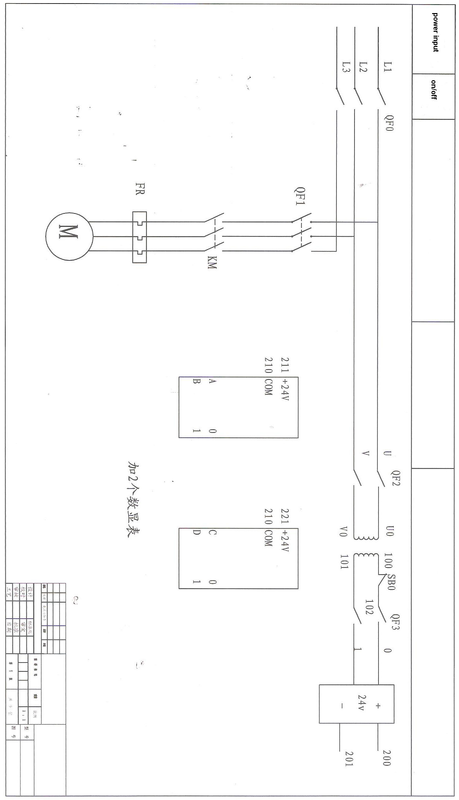 Layout of the pipeline system, convenient operation, flexible action neatly, and overload protection device. 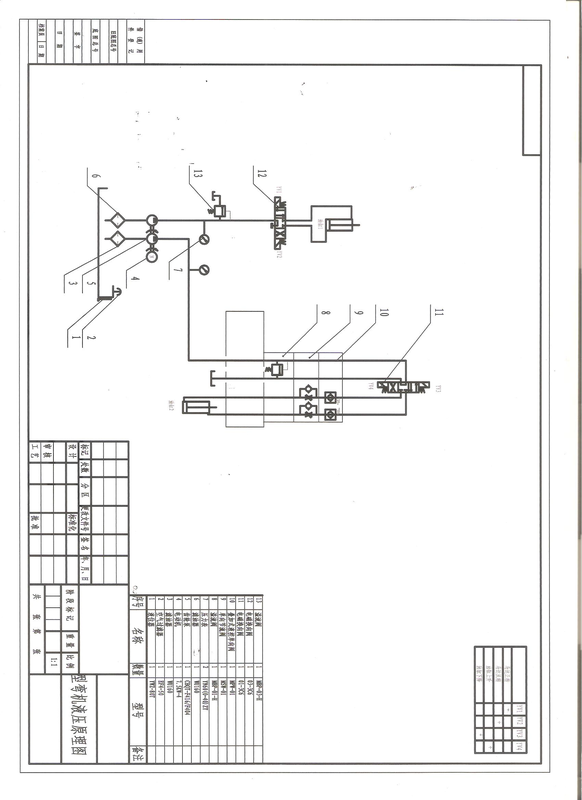 The machine electric control part of the contractor as the core, with the electric control system and hydraulic system, in order to realize the machine each action, main buttons to move the button box and a console based. Through the digital display shows the amount of movement, convenient intuitive operation. The high voltage part of the main electrical components is brand-name and quality products, with long service life, no fault time. 6-1. The molds of this machine have good mechanical properties, high strength, strong wearable, suitable for high load operation and long life after forging, quenching and tempering. 6-2. Double row self-aligning roller bearing mounted at the end of the main shaft, there’s large capacity and reduce the power loss caused by friction, long life service and saving energy. 6-3. Movable console and digital display for top roller elevation amount make the operation easier. 6-4. 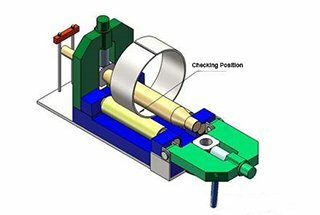 High accuracy displacement sensor of the top roller elevation ensure the precision and monitor of each roller. 6-5. 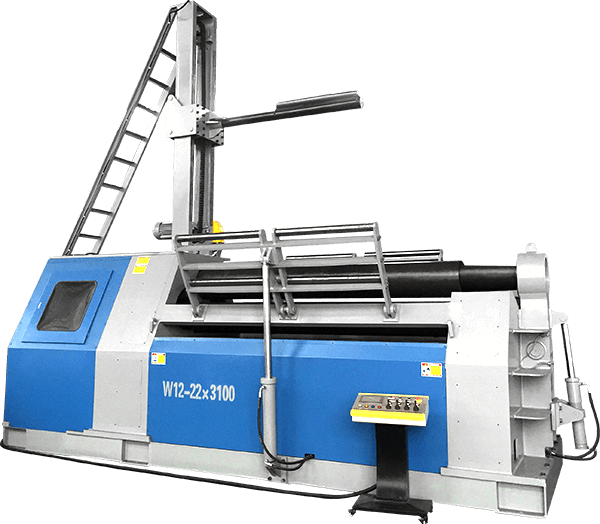 This machine adopts the whole body, strong rigidity, good hoisting, easy to install, and annealing treatment, eliminate stress, improve accuracy. 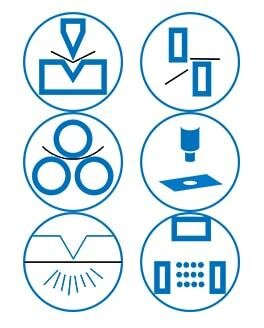 The level of the ground plane and tilt in any direction shall not exceed 2mm / m.
Machines should be checked before installation completely, all preparations have been installed before they can proceed on the installation sequence. The following mold surface level as a benchmark to check the tilt and the upper and lower mold parallelism, adjusted to meet the requirement. All installed, inspected before tightening bolts. Must ensure the equipment flexible running after the installation. Prior to starting the test the connection to be solid and the department of inspection and adjustment of the gap part of all sports and travel and so on, to check whether or not a good electrical switch. After the completion of preparatory work for the commissioning, commissioning of 10 minutes, stopping to check all in good condition after the operation before the load test. 8-1. Don’t run the machine when the electric system is in an abnormal situation. 8-2. Forbid the operator who doesn’t know the machine and don’t abide by the rules running the machine. 8-3. Ensure there’s good light in working area. 8-4. 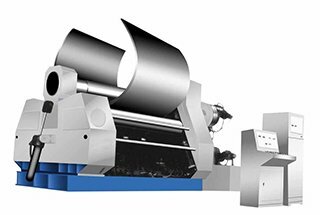 Don’t allow the two sides flat edge of the workpiece overlapping to prevent damage the machine. In order to ensure the machine is a good running station, please change the worn parts timely. 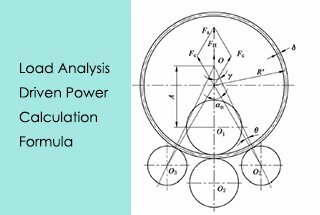 The user according to the specific situation of the machine, load, and operation of the establishment of a specific lubrication system. 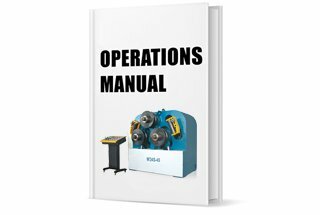 The machine in continuous working conditions, the oil cup oil in general 4 hours once a month in general lubricating the gears once.